It's the very last weekend to skate in the park, so get your glide on before the season comes to a close! Citi Pond is open for free admission skating until 10pm on Sunday, February 27, and you have until midnight on Saturday, February 26 to enjoy one last chicken pot pie at rinkside restaurant, Celsius. 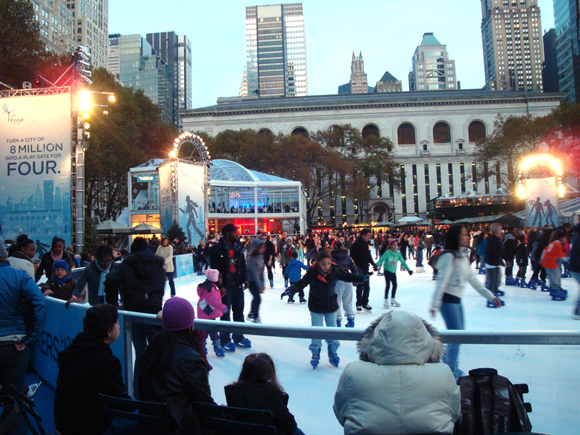 Visit www.citipondatbryantpark.com for more information about skating and rinkside dining in Bryant Park. Thank you for a wonderful winter season!